Having to travel often for work and I suffered some times the nuisance of having the mobile battery almost drain and not being able to find an outlet to charge it. Emergency chargers are widely available but I prefered to build my own. The first was to take apart the LEDs from the flashlight as I only need the housing to use it as battery holder with ON/OFF push button. 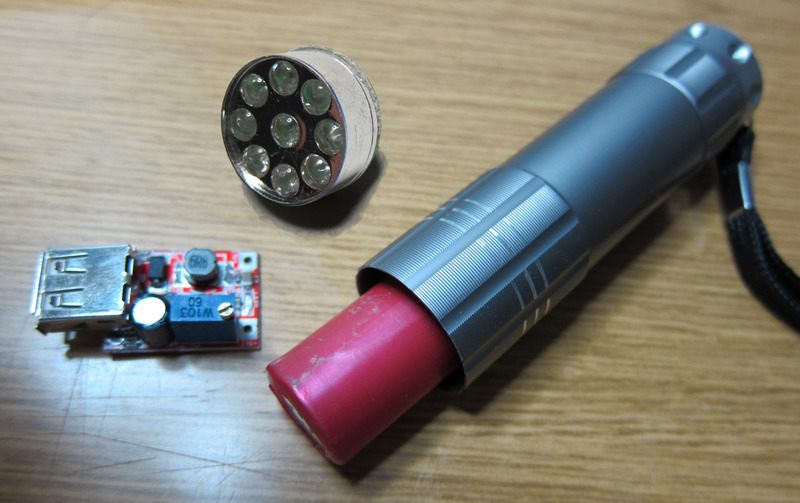 I did some changes to the DC-DC module so the battery and the module can fit on the flashlight. 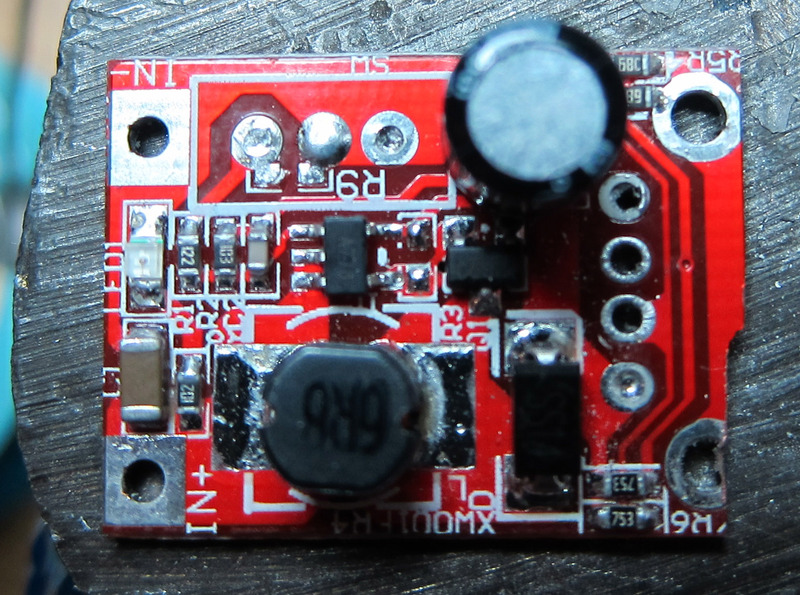 The potentiometer was replaced by a fixed resistor with the value that gives 5V output, I wired the USB socket apart from the board so I can place it next to the DC-DC module and I cut a little the board. I also made a circular circuit board that fits tight inside the flashlight and connects the battery with the DC-DC module using the housing as conductor. 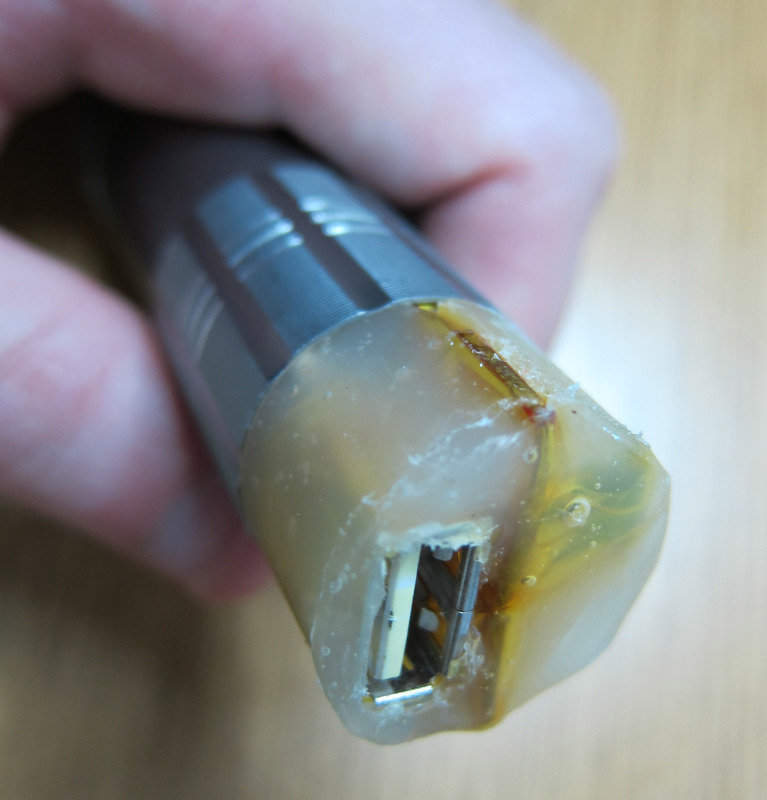 Even after these modifications the module protrude from the flashlight a little, so I filled the space with hot-melt adhesive using a mold to give it a round shape.